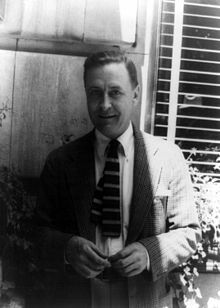 Francis Scott Key Fitzgerald (24 September 1896 – 21 Disember 1940) merupakan pengarang Amerika Syarikat. Tales of the Jazz Age from American Studies at the University of Virginia. This Side of Paradise from American Studies at the University of Virginia.